The view from Stateline just after 6:30 a.m. Monday, Feb. 19. Lake Tahoe could see nearly half a foot of new snow Monday following a storm that caused whiteout conditions in some parts of the Sierra Sunday. At the same time, temperatures are expected to remain very cold to start the week, according to a special weather statement from the National Weather Service. 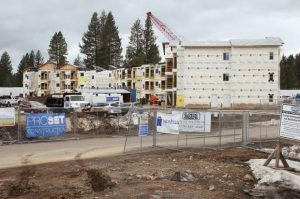 Daytime high temperatures will reach near freezing — Monday’s high in South Lake Tahoe will climb to 23 degrees while Incline Village will see a high of 22 degrees. Overnight lows will drop into the very low teens and single digits. 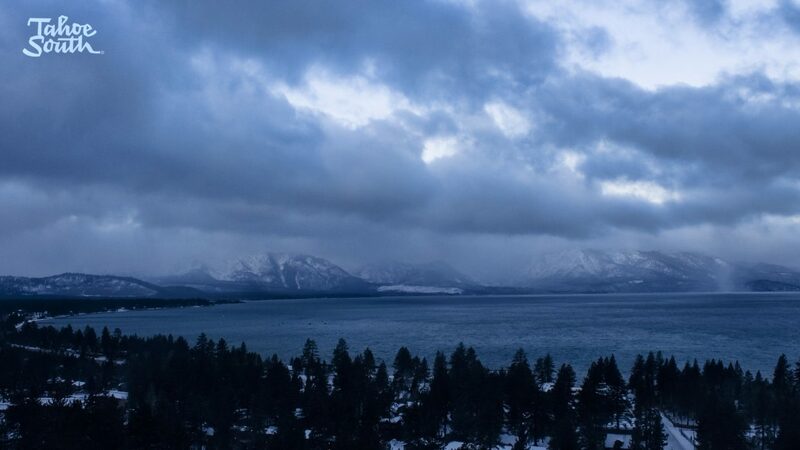 The colder air moving across Lake Tahoe is expected to cause what is known as “lake effect snow.” The weather service states that the lake effect could create an additional 3-6 inches of snow southeast of the lake, including in South Lake Tahoe and down off the hill into Douglas County. 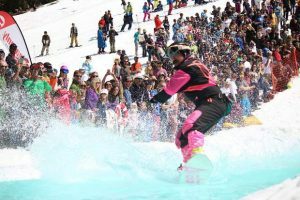 There is a 90 percent chance of snow showers on South Shore Monday. The chance of snow is not as great in Incline Village, which has a 60 percent chance of snow Monday, according to the weather service. Total daytime snow accumulation in Incline could range from 1-3 inches. There is a chance of snow in the Tahoe Basin later this week. Any new snow will add to the modest amounts that fell Sunday and early Monday morning. Just before 6:30 a.m. Monday, Sierra-at-Tahoe reported 7 inches of new snow at its summit in 24 hours. Falling snow and whipping winds caused visibility issues in South Lake Tahoe and elsewhere Sunday as sunny conditions darkened and gave way to snow. 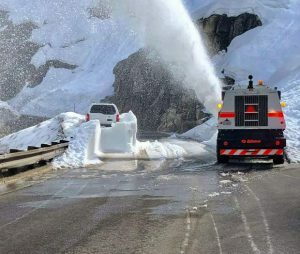 U.S. 50 heading toward Echo Summit turned into a parking lot Sunday as chain controls were implemented and an army of motorists attempted to make their way out of the basin toward the end of a holiday weekend.